April 26, 2008–SHIMMER Volume #17: Allison Danger defeated Cat Power with the Old School Expulsion..
April 26, 2008–SHIMMER Volume #18: “The Portuguese Princess” Ariel defeated Cat Power with a Dariel..
June 27, 2008–Women’s Extreme Wrestling: USA (April Hunter & Annie Social) beat CANADA (Miss Danyah & Cat Powers)..
July 5, 2008–SHIMMER Volume #19: Ashley Lane & Nevaeh defeated Cat Power & Veronika Vice in a tag team match..
July 5, 2008–SHIMMER Volume #20: Cat Power defeated Daffney by Submission with the Figure-4 Leglock..
August 24, 2008–NWX/AWA SummerBlast: Jaime D defeated Cat Power to win the vacant NWX Women’s title..
October 19, 2008–SHIMMER Volume #21: Daffney beat Cat Power (Daffney threw a ball of yarn accross the ring and Cat chased it)..
October 19, 2008–SHIMMER Volume #22: Danyah defeated Cat Power to earn her first victory in SHIMMER competition..
November 30, 2008–GCW: Jennifer Blake beat Miss Danyah and Cat Power in a triple threat match with special guest referee Sunny..
December 13, 2008–BCW: Jennifer Blake defeated Haley Rogers..
January 8, 2009–GCW: Jennifer Blake defeated Haley Rogers..
January 31, 2009–BSE: Traci Brooks defeated Haley Rogers with Sunny as special referee. February 1, 2009–BSE: Taylor Wilde and Traci Brooks defeated Haley Rogers and Xandra Bale..
March 27, 2009–BCW: Jaime D defeated Haley Rogers..
March 28-29, 2009–BCW: Haley Rogers defeated Danyah..
May 2, 2009–SHIMMER Volume #23: Nikki Roxx defeated Cat Power with a Barbie-crusher..
May 2, 2009–SHIMMER Volume #24: Serena Deeb defeated Cat Power with a Spear..
May 3, 2009–SHIMMER Volume #25: Cat Power beat Kellie Skater and Rachel Summerlyn and Ariel in a 4-Corner Survival..
May 8,9, 2009–BCW: PJ Tyler defeated Haley Rogers..
May 16, 2009–BCW: Danyah defeated Haley Rogers with Jaime D as special referee..
May 28, 2009–BCW: Jaime D defeated Haley Rogers..
June 16, 2009–GCW: PJ Tyler defeated Haley Rogers..
June 26, 2009–BCW: Taylor Wilde defeated Haley Rogers..
June 27, 2009–BCW: Haley Rogers and Taylor Wilde defeated Danyah and PJ Tyler. September 11, 2009–BCW: PJ Tyler defeated Haley Rogers..
September 12, 2009–BCW: Haley Rogers and Turcan Celik defeated Jake O’Reilly and PJ Tyler. October 24, 2009–RSW: PJ Tyler defeated Cat Power..
November 8, 2009–SHIMMER: Cat Power defeated “Portuguese Princess” Ariel with Daizee Haze as the special guest referee..
November 8, 2009–SHIMMER: “The Latina Sensation” Mercedes Martinez defeated Cat Power with the Fishermens-buster..
November 21, 2009–BSE: Taylor Wilde defeated Cat Power and Kelly Couture in a 3-way match. January 9, 2010–GCW: Hayden Avery and PJ Tyler defeated Haley Rogers and Kelly Couture. January 22, 2010–CCW: Cat Power defeated Alexxis. February 6, 2010–NCW: Cat Power defeated LuFisto by disqualification.. Cheerleader Melissa and LuFisto defeated Cat Power and Kalimity in a no disqualification tag match. February 27, 2010–GCW: Haley Rogers defeated PJ Tyler..
April 10, 2010–SHIMMER 29: “Everybody’s Favorite Girlfriend” Jessie McKay defeated Cat Power with the Boyfriend Stealer..
April 10, 2010–SHIMMER Volume #30: LuFisto defeated Cat Power with the Burning Hammer..
April 11, 2010–SHIMMER Volume #32: Cat Power defeated Nevaeh with the Cat Nap..
April 18, 2010–MPW: Haley Rogers and Robbie McAllister defeated Boriz Brezhnev and Nikita. June 4, 2010–SCW: PJ Tyler defeated Cat Power in the 1st round. June 5, 2010–NCW: Cat Power defeated Mistress Belmont. June 26, 2010–MPW: Crazzy Steve and Haley Rogers defeated Boriz Brezhnev and Nikita. September 11, 2010–Shimmer Volume 33: Cat Power defeated Jamilia Craft. September 12, 2010–Shimmer Volume 36: Leva Bates defeated Cat Power. September 30, 2010–MPW: Traci Brooks defeated Cat Power. October 1, 2010–MPW: Traci Brooks defeated Cat Power. October 2, 2010–MPW: Cat Power and Boris Brezhnev defeated Tracie Brooks and Phil Atlas. October 3, 2010–MPW: Traci Brooks and Crazzy Steve defeated Cat Power and Boris Brezhnev. October 17, 2010–MPW: Robbie McAllister and Traci Brooks defeated Cat Power and Tyson Dux. October 23, 2010–NCW: PJ Tyler defeated Courtney Rush and Sassy Stephie in a 3-way match. October 24, 2010–MPW: Courtney Rush defeated Cat Power. July 7, 2012–NCW: Allysin Kay, Jessicka Havok and Sassy Stephie defeated Cat Power, Xandra Bale and Courtney Rush. November 3, 2012–NCW: Kellie Skater defeated Cat Power. Saraya Knight defeated Cat Power. November 10, 2012–ECCW: ECCW women’s champion KC Spinelli defeated Cat Power to retain the title. January 12, 2013–ECCW: ECCW women’s champion KC Spinelli defeated Cat Power to retain the title. March 15, 2013–ECCW: KC Spinelli and Tony Baroni defeated Cat Power and Bishop. June 22, 2013–ECCW: ECCW women’s champion Nicole Matthews defeated Cat Power to retain the title. April 19, 2014–NCW: Angie Skye defeated Cat Power. September 27, 2014–ECCW: Cat Power defeated Violet in the 1st round. November 8, 2014–ECCW: Cat Power defeated Skarlet in the semi-finals. December 13, 2014–ECCW: Cat Power & Jaida defeated Nicole Matthews & Violet. 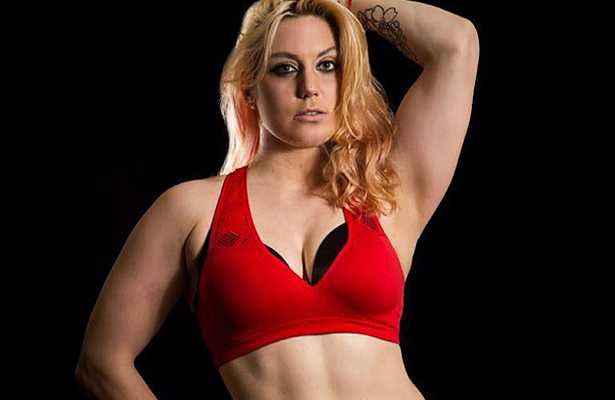 January 3, 2015–ECCW: Cat Power defeated Kate Carney to win the tournament and vacant ECCW women’s title. January 17, 2015–ECCW: Cat Power & Jaida defeated Bambi Hall & Veda Scott. January 31, 2015–ECCW: ECCW women’s champion Cat Power defeated Skarlet to retain the title. February 7, 2015–ECCW: ECCW women’s champion Cat Power defeated Jaida to retain the title. February 21, 2015–ECCW: Nicole Matthews defeated Cat Power. February 28, 2015–ECCW: ECCW women’s champion Nicole Matthews defeated Cat Power to retain the title. March 25, 2015–REINA: Hikaru Shida, Shiro Koshinaka & Zeus defeated Cat Power, Kana & Yuko Miyamoto. April 4, 2015–Sendai Girls: Cat Power defeated Xandra Bale. April 5, 2015–REINA: Arisa Nakajima, Kurumi & Tsukushi defeated Cat Power, Kana & Konami. April 18, 2015–ECCW: ECCW women’s champion Cat Power defeated Jaida to retain the title. May 1, 2015–ECCW: Cat Power & Kristopher Kassidy defeated Jaida & Violet. May 29, 2015–REINA: Hikaru Shida, Syuri & Toru Owashi defeated Cat Power, Makoto & Yuko Miyamoto. June 13, 2015–REINA: Cat Power & Hercules Senga defeats Hitana & Shinobu. June 23, 2015–REINA: Cat Power, Kana & Yuko Miyamoto defeated Maki Narumiya, Mineo Fujita & Syuri. July 10, 2015–REINA: REINA world tag team champions Makoto & Rina Yamashita defeated Alex Lee & Cat Power to retain the titles. July 12, 2015–REINA: Syuri defeated Cat Power to win the ECCW women’s title. July 12, 2015–Diana: Kaoru Ito & Sareee defeated Cat Power & Meiko Tanaka. July 19, 2015–REINA: Cat Power, Kana & Magnitude Kishiwada defeated Maki Narumiya, Mineo Fujita & Syuri. August 7, 2015–ECCW: Cat Power defeated Violet. August 8, 2015–ECCW: Nicole Matthews & Ravenous Randy defeated Bishop & Cat Power. August 15, 2015–ECCW: Cat Power vs. Nicole Matthews ended in a no contest. September 11, 2015–ECCW: Cat Power & Nick Price defeated Nicole Matthews & Scotty Mac. September 19, 2015–ECCW: Nicole Matthews defeated Cat Power. December 5, 2015–ECCW: Nicole Matthews, Gurv & Harv Sihra defeated Cat Power, Alex Plexis & Nelson Creed. December 19, 2015–ECCW: Cat Power defeated Catford. January 2, 2016–ECCW: Andy Bird & Nicole Matthews defeated Cat Power & Pete Peters. January 16, 2016–ECCW: Pete Powers defeated Cat Power. January 31, 2016–JWP: Kagetsu & Sawako Shimono defeated Cat Power & Yako Fujigasaki. February 11, 2016–REINA: Maki Narumiya & Syuri defeated Cat Power & Roni Nicole. February 21, 2016–Stardom: Cat Power defeated Momo Watanabe. February 28, 2016–REINA: Cat Power defeated Syuri to win the ECCW women’s title. March 4, 2016–Diana: Command Bolshoi & Kaoru Ito defeated Cat Power & Roni Nicole. March 20, 2016–REINA: Cat Power & Mika Iida defeated La Silueta & Makoto. March 21, 2016–Diana: Cat Power & La Silueta defeat Meiko Tanaka & Sareee. March 21, 2016–JWP: Cat Power defeated Yako Fujigasaki. April 2, 2016–REINA: Cat Power defeated Malia Hosaka to retain the ECCW women’s title. July 24, 2016–Diana: Cat Power and Kaoru Ito defeated CRYSIS (Jenny Rose and Keiko Aono). August 14, 2016–REINA: Cat Power and Onryo defeated Konami and Minoru Tanaka. October 1, 2016–GFW: Cat Power and KC Spinelli defeated Alexia Nicole and Lisa Marie Varon. October 22, 2016-Smash: Cat Power defeated Jade. October 23, 2016–PWE: Kat Von Heez defeated Cat Power. November 5, 2016–BCW: Alexia Nicole defeated Cat Power in a dark match. November 11, 2016–SHIMMER Volume 86: Cat Power defeated Nixon Newell. November 12, 2016–SHIMMER Volume 87: Cat Power defeated Mia Yim. November 12, 2016–SHIMMER Volume 88: Cat Power defeated Kay Lee Ray. November 13, 2016–SHIMMER Volume 89: Kellie Skater defeated Cat Power to retain the SHIMMER title. November 26, 2016–PWE: Heidi Katrina defeated Cat Power and Kat Von Heez in a 3-way match to retain the REINA-CMLL International Title. January 14, 2017–ECCW: Ninja Power (Cat Power and Nicole Matthews) defeated Alex Plexis and Pete Powers. April 1, 2017–SHIMMER Volume 91: Jessicka Havok defeated Cat Power. July 8, 2017–SHIMMER Volume 92: Cat Power defeated Delilah Doom, Leva Bates and Nicole Matthews in a 4-way match. July 9, 2017–SHIMMER Volume 95: Saraya Knight defeated Cat Power. July 15, 2017–ECCW: Toni Baroni defeated Cat Power to win the women’s title. August 3, 2017–DEFY6: Desi De Rata defeated Cat Power. September 30, 2017–3-2-1 Battle: Cat Power defeated Christina Von Eerie in the 1st round. Cat Power defeated Riea Von Slasher in the semi-finals. Cat Power defeated Nicole Matthews to win the tournament. Cat Power wrote (in reference to career highlights): Winning my first title in PWX was definitely one, My feud with Jennifer Blake which ended in a Strap Match was AWESOME!, Getting to work with my trainer Tyson Dux on a show was incredible. We were in a mixed tag match with Jennifer Blake and Derek Wylde and to work with the three of them was so amazing. I’ll never forget that, Finally getting to work on a Border City Wrestling show in May. It was the first show back in almost two or three years and when I was a student at Can-Am Wrestling School I was so excited to be ready for a BCW show and I had to wait for this one and it was such a great night. I got to go home and wrestle in the North Sydney forum on September 28th 2008 and work for my family and friends. I used to watch wrestling at the forum all the time and to actually get to go and work there was (insert cheesy line here) like a dream come true.